Short rim flares outward with rounded outer lip and flattened upper face. Widely flaring upper body. Strap handle arcing above rim attaches to rim. Granular grey fabric at core and pale red towards surface. Frequent tiny bits with occasional small to medium light angular inclusions; rare small angular dark inclusions; occasionally these are present in surface. Interior surface is dark red and all other surfaces are pale brown; several voids. 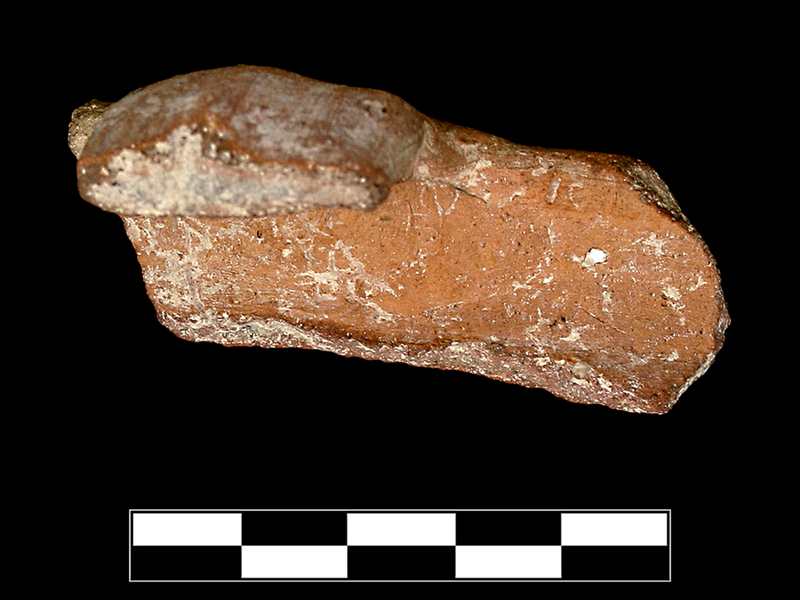 One sherd preserves <10% of rim, upper part of one handle, and small part of upper body. Slight, somewhat extensive abrasion, chipping, and rare pitting; scattered specks of encrustation.